Popular Almond Milk Co. Sued for Containing Almost No Almonds! 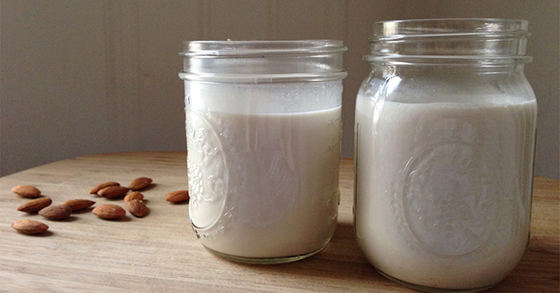 Home » News » Popular Almond Milk Co. Sued for Containing Almost No Almonds! Well, you may have your revenge for having to drink this swill as Almond Breeze is being sued for false advertising. More specifically for “[deceiving] customers into thinking that they’re buying a product made from almonds,” according to a report on the lawsuit by Time. Almond Breeze responded in part by saying: “The primary ingredient in nearly all popular beverages including coffee, tea, soda, juice and sports drinks is water. Cow’s milk is 85% to 95% water and the same can be said for most soy and almond milks which is why our brand is not alone in responding to recent claims.” So… you might consider this when buying any of these milk substitute beverages. And, why not learn to make your own? It’s unbelievably simple! This post was republished from realfarmacy.com. You can find the original post here.